Any discussion of the Royal Navy's activities in the Far East in World War II will almost certainly include the disastrous sinking of the Prince of Wales and The Repulse that set the scene for the fall of Singapore in the following year. 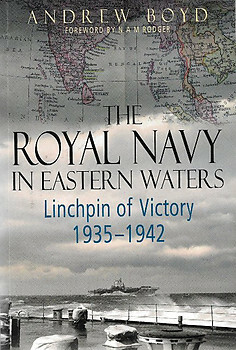 In this book Boyd argues that the loss of the two ships was an unusual blip in an otherwise very successful performance of Britain's navy during this period. In fact the navy managed to secure the Indian Ocean before the United States had properly entered the Eastern theatre. New Paperback. Reprint. 538 pages. 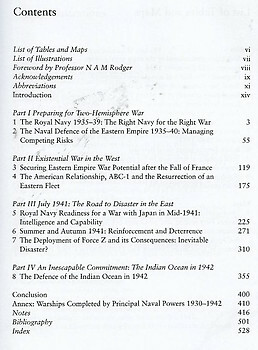 For further details, please see the scanned contents page. Published by NUS Press, Singapore, 2017.